Sometimes, it can be hard to find a house that fits the needs of the entire family, but we have found just that in this week’s Fab Find Friday. 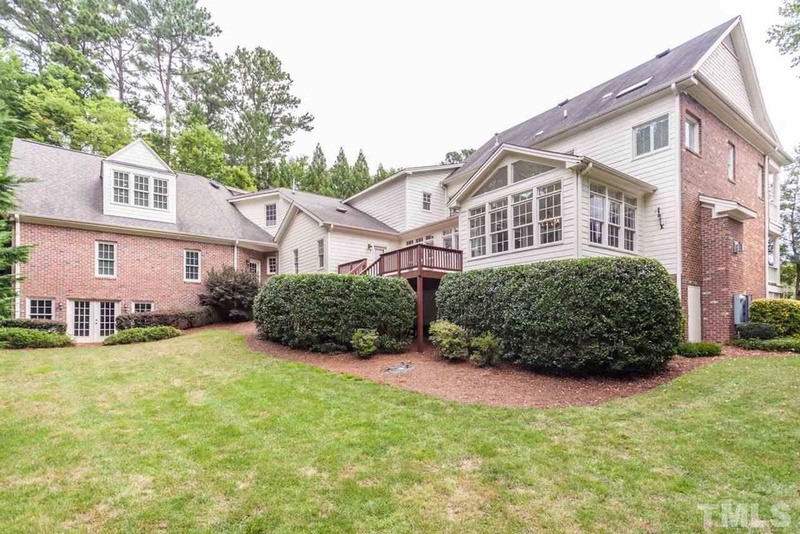 9508 Swepstone Lane in Raleigh has the whole package and plenty of room to spare. Let’s start on the outside with the seven-car garage! That’s right, room for seven cars, boats, toys, whatever your heart desires – there is room for it! Underneath the second garage, you will find a workshop/recreation room making this a perfect space for your “man cave” or “she shed”. As you make your way inside this amazing Traemoor beauty you will find a gourmet kitchen, sunroom, guest suite, dining room, family room with a fireplace, hardwoods, plantation shutters… and that is just on the first floor! 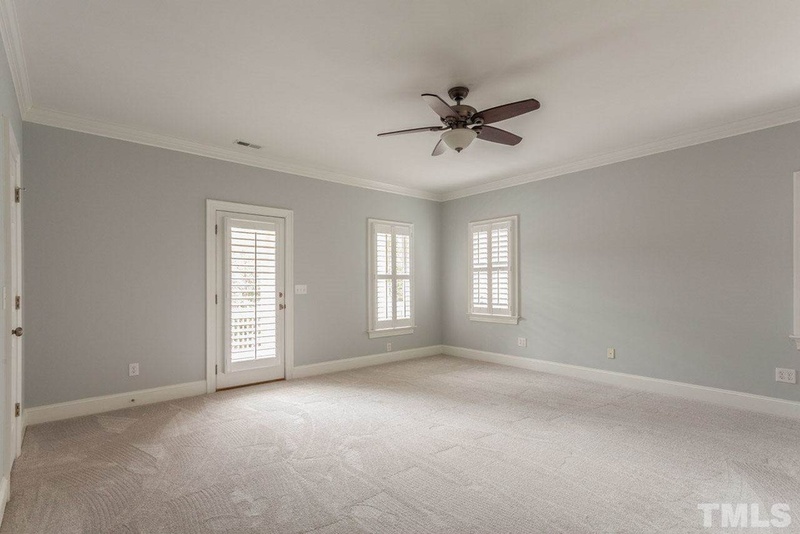 The second floor offers a generous master bedroom suite with his and her closets and access to a second porch. 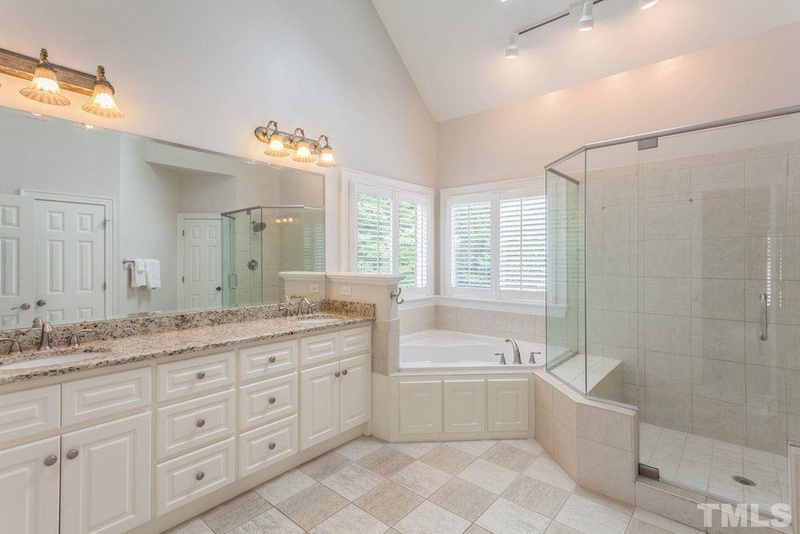 Before we move on, we have to talk about the master bath. It is really a dream bathroom! 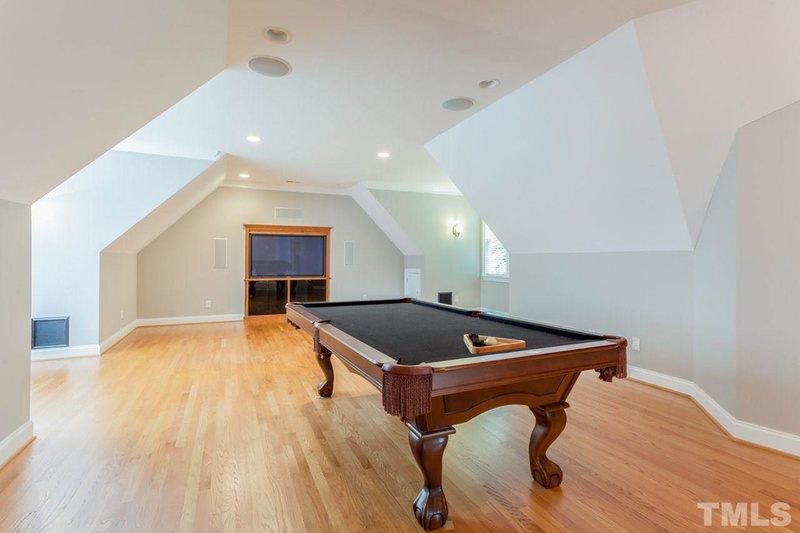 Also on the second floor are four more bedrooms, the laundry room, a loft office area, and a huge bonus room with a pool table. We are not done yet! Walk up to the third floor to find two more flex areas or bedrooms for a total of eight bedrooms. To recap, this is the auto collector’s dream with its seven-car garage… and a lifestyle gem with huge closets, a gourmet kitchen, and even room for a live-in nanny! Ready to Make This Dream Home Your Reality? At 5,797 sq. ft. and a price tag of $800,000, this home is truly one-of-a-kind. Located just off Bailywick Road, not only is this house stunning, the location is near everything you love in Raleigh. Want to see it for yourself? This home is listed by our real estate pal Beth Smoot of Nexthome Triangle Properties. Fun Fact: Beth is the co-founder of The Green Chair Project where we’re proud to volunteer. We’d love to show this home to you! Contact us today: 919-868-4383 or Renee@HREGSells.com.